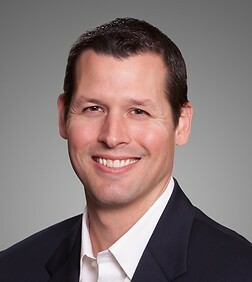 Tobin Dommer is a partner in the Corporate Practice Group in the firm's Silicon Valley office. Tobin has significant experience working with corporate investors, venture capital funds and software, digital media and hardware companies through all stages of growth. He counsels his clients on a wide range of corporate and intellectual property transactions, including venture capital investments, mergers and acquisitions, corporate governance, entity formation, equity compensation plans, and licensing of intellectual property. Tobin has represented venture capital and corporate investors, including Storm Ventures, Hydra Ventures, Samsung Ventures, NGEN Partners, Hanwha, and NEA. Represented venture capital arms of multi-billion dollar foreign conglomerates in strategic investment transactions. Represented leading provider of crypto currency wallets and financial tools in its $42.5 million Series B Preferred Financing. Represented leading venture capital investors in their investments in the $30 million Series E Preferred Stock financing of a leading supplier of CPV systems. Represented leading provider of mobile banking solutions in its $18 million Series E Preferred Stock financing and $20 million Series D Preferred Stock financing with investments from venture capital arms of multi-billion dollar companies and venture capital firms. Represented clean-tech venture capital investor in multiple debt and equity financing transactions with values between $5 million and $20 million. Represented maker of audience-based solution for online advertising markets in its $20 million Series B Preferred Stock financing with investment from top-tier venture capital firms. Represented adidas AG in its $425 million sale of TaylorMade Golf Co., to KPS Capital Partners LP. Represented Ingram Micro (NYSE: IM), in its acquisition of the Odin Service Automation business from the Parallels Holdings Ltd. Represented Ingram Micro, Inc. in its acquisition of Ensim Corporation. Represented cloud management startup ServiceMesh in its $300M acquisition by CSC (NYSE: CSC). Represented mFoundry in its acquisition by FIS Global (NYSE: FIS) valued at over $160M. Represented U.S.-based maker of optical communication sensors and components in its acquisition by a Chinese electronics conglomerate. Represented the maker of internet and mobile casino/arcade style games and virtual currency game platform in its acquisition by IGT (NYSE:IGT), a leading provider of computerized gaming equipment, software, and network systems. Represented start-up companies in acquisitions by leading technology companies, including Google, LinkedIn, and Salesforce. Represented Atria Genetics, a maker of molecular diagnostics products, in its $33 million acquisition by Celera. Represented France-based maker of bioprocess storage systems in its acquisition of a leading U.S.-based supplier of controlled freeze-thaw technology to the biopharmaceutical industry. Represented clients in negotiation and completion of credit facilities with commercial lenders. Represented the maker of software for creating engineering applications in its exclusive license of technology from multinational Nasdaq 100 software company and cross-border acquisition of related business operations. Represented revenue management software company in license transactions with customers in the technology, life sciences and pharmaceutical industries.